When you compare battery to gasoline power, electricity wins hands down. A 2007 study by the non-profit Electric Power Research Institute (EPRI) calculated that powering a plug-in hybrid electric vehicle (PHEV) would cost the equivalent of roughly 75 cents per gallon of gasoline—a price not seen at the pump for 30 years. The calculation was made using an average cost of electricity of 8.5 cents per kilowatt hour and the estimated distance the car would travel on one charge, versus a car that gets 25 miles per gallon and is powered by $3 per gallon gasoline. Change any of those variables and the relative costs change. For example, substituting a car that gets 50 miles per gallon doubles the comparative electrical cost (though it still works out much cheaper than gasoline). On the other hand, in some areas where wind or hydropower is wasted at night—just when the PHEV would be charging—the utility might drop the kilowatt hour cost to two to three cents, making the charge much less costly. Regarding environmental impact, charging up your car with electricity from the grid also wins handily over filling up at the gas station. In the most comprehensive PHEV study to date, released in 2007 by EPRI and the non-profit Natural Resources Defense Council (NRDC), results predict that all greenhouse gases will be reduced as PHEVs begin to penetrate the car market. Estimated cumulative greenhouse gas reductions from 2010 to 2050, depending upon how fast PHEVs take hold, range from 3.4 to 10.3 billion tons. More than one half of our national energy grid is powered by coal, and in areas where PHEVs are charged through coal-provided electricity, says NRDC, there is the possibility of increased levels of soot and mercury emissions. However, charging up can be much less of a guilt-ridden affair where cleaner electrical sources like wind and solar are available. 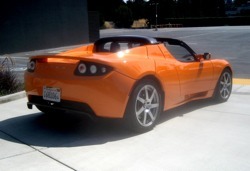 The website HybridCars.com points out that as more power plants are required to develop green power and emit fewer greenhouse gases, the environmental and health benefits will further increase. Aerial wolf gunning involves stalking and shooting wolves from low-flying planes and helicopters. The practice yields better results than traditional ground-based hunting since it allows hunters to cover lots of ground quickly and track prey from an unobstructed “bird’s eye” vantage point. For these very reasons, some hunters—as well as many environmentalists and animal rights advocates—consider aerial hunting unsportsmanlike and even inhumane since it violates the “fair chase” ethic. Aerial hunting is mostly forbidden on U.S. public lands per the Federal Airborne Hunting Act, passed by Congress in 1972. But individual states can allow it for the sake of protecting “land, water, wildlife, livestock, domesticated animals, human life or crops.” Alaska governor Frank Murkowski exploited this language in 2003 and signed a state bill allowing Alaskans to apply for permits to kill wolves—which some Alaskans’ fear take a large toll on the moose and caribou that hunters like to shoot—from aircraft. But when Sarah Palin, herself an avid hunter, took over the governorship in 2006, she instituted a $150 bounty for any hunter who killed a wolf from an aircraft in select areas where moose and caribou populations were not as large as hunters would have liked. A state judge quickly put a halt on the bounty, ruling that the Palin administration lacked the authority to offer such payouts. But the judge was powerless to stop aerial hunting itself as long as it was done in a permitted fashion in the name of “predator control,” per the loophole in the federal ban. Palin also approved a $400,000 state-funded campaign that helped undermine a recent ballot initiative to ban aerial hunting, and also introduced legislation to ease restrictions on the practice. In the four years Palin has been governor, upwards of 800 wolves have been killed by aerial hunting in Alaska. 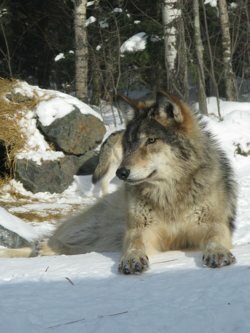 Palin has joined influential groups such as the Alaska Outdoor Council in maintaining that wolf populations need culling, as the great canines are literally stealing food from the tables of Alaska’s many subsistence hunters who rely on moose and caribou kills to feed their families through the long cold winters. But Rodger Schlickeisen of the non-profit Defenders of Wildlife says that it is Alaska’s small but politically influential commercial hunting interests—not subsistence hunters—who want to keep aerial wolf-gunning alive in the 49th state. “Their clear intention is to eliminate as many of nature’s major predators as possible to artificially increase moose and caribou numbers where it’ll then be easier for urban and wealthy out-of-state hunters to shoot their trophy animals,” he says, adding that scientific data do not show the need for stepping up predator control efforts. Schlickeisen insists that most regular Alaskans are opposed to aerial hunting, even for the purpose of predator control. “Twice in the past 12 years, Alaska voters have approved state ballot initiatives to limit the use of aircraft to kill wildlife—and twice the state legislature, encouraged and abetted by the [appointed] board of game, has overridden the citizen-passed laws to restore use of aircraft,” he says. Image Credits: “qviri,” silverfang_10″ courtesy Flickr.